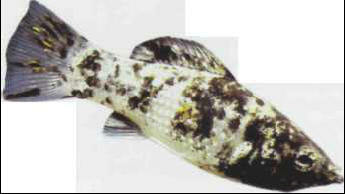 The common variety of short-finned molly or pointedmouth molly has a silvery-gray body, with varying degrees of black spotting. The black variety is more popular with some enthusiasts. The molly prefers hard water, to which you can add 1 % seawater - or 1 teaspoonful of table salt to 10 liters of water. It is also a good idea to feed supplements of vegetable material. Size: 8 cm. РЫБИЙ ЖИР , жидкий жир из печени рыб (главным образом тресковых). Прозрачная маслянистая жидкость со специфическим запахом и вкусом; содержит витамины А и D. Применяют для профилактики и лечения гипо- и авитаминоза А, рахита, при лечении ран и ожогов.